According to rental site Zumper, median rents for a 1-bedroom in Old City are hovering around $1,650 (compared to a $1,495 average for Philadelphia). So how does the low-end pricing on an Old City rental look these days--and what might you get for your money? 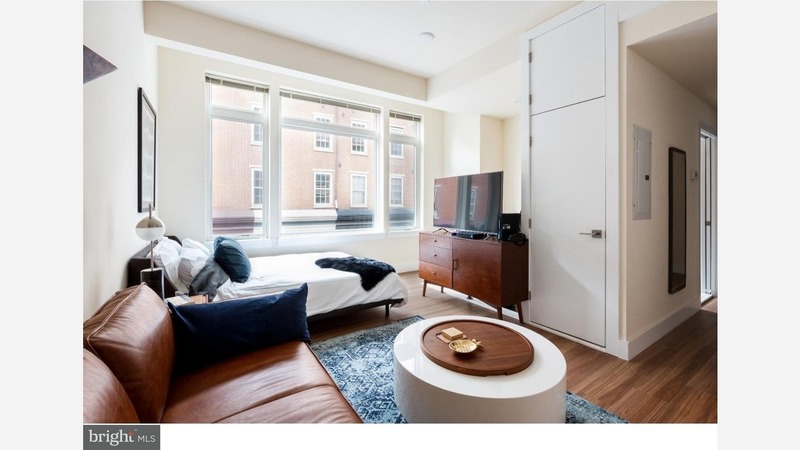 Listed at $1,295 / month, this 400-square-foot apartment, located at 300 Market St., is 25.8 percent less than the $1,745 / month median rent for a studio in Old City. In the unit, expect air conditioning, hardwood flooring, in-unit laundry, a dishwasher and stainless steel appliances. Neither cats nor dogs are welcome, sadly. This 1-bedroom, 1-bathroom rental, situated at 33 Letitia St., is listed for $1,320 / month. In the unit, expect air conditioning, a dishwasher, in-unit laundry, a walk-in closet and carpeting. It also has a working fireplace. Good news for animal lovers: both dogs and cats are welcome here. Here's a 1-bedroom, 1-bathroom apartment at 130 Arch St., which, at 700 square feet, is going for $1,325 / month. Building amenities include a roof deck, outdoor space and an elevator. In the unit, the listing promises air conditioning, in-unit laundry and a dishwasher. Sadly for pet owners, animals are not permitted. Then there's this townhouse with one bedroom and one bathroom at 50 S 2nd St., listed at $1,350 / month. In the unit, look for air conditioning, hardwood flooring and in-unit laundry. Neither cats nor dogs are allowed. When it comes to building amenities, expect a roof deck. Listed at $1,375 / month, this 461-square-foot 1-bedroom, 1-bathroom apartment is located at 38 N 3rd St. In the sunny unit, you're promised air conditioning, hardwood flooring, a walk-in closet and in-unit laundry. Pet owners, inquire elsewhere: this spot doesn't allow cats or dogs. This 1-bedroom, 1-bathroom abode, situated at 116 S 7th St., is listed for $1,445 / month. In the unit, expect to find air conditioning, a dishwasher, in-unit laundry and ample natural lighting. If you've got a pet, you'll be happy to learn that cats and dogs are welcome.